Mark Merrill is the founder and president of Family First, a national non-profit organization dedicated to helping people love their families well. Mark hosts the Family Minute with Mark Merrill, a nationally syndicated daily radio program that reaches 5,900,000 listeners each day. 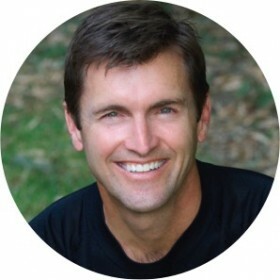 He also delivers marriage and parenting wisdom to over 100,000 people each month through his blog and podcast. Mark is a regular FOX and Friends guest on FOX News and has appeared on NBC’s Today Show, numerous ABC, CBS, FOX and NBC network affiliates and national radio programs. His comments and writings have appeared in publications including USA Today, the Washington Times, and Sports Illustrated. Mark is also the author of All Pro Dad—Seven Essentials to Be a Hero to Your Kids. As an energetic advocate for the family, Mark speaks at conferences and events hosted by major companies and organizations, NFL teams, as well as special engagements for dignitaries. Before founding Family First in 1991, Mark practiced law in Florida for seven years. Mark and his wife, Susan, live in Tampa, Florida and have five children.